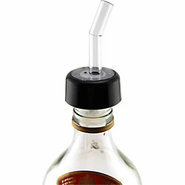 Generic - Free-Flow Liquor Bottle Pourers ? Set of 12 These brightly colored liquor bottle pourers are a great way to keep your alcohol flow under control! 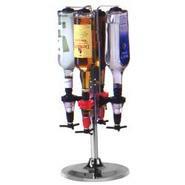 Generic - Whiskey Flow Liquor Bottle Pourers These liquor spouts are designed specifically for pouring whiskey! 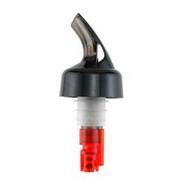 Each bottle top pourer has a clear plastic spout and a black collar that attaches right to the bottle. 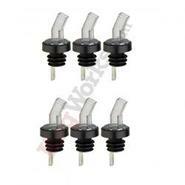 Generic - Chrome Bottle Pourers - Set of 6 These no hassle bottle pourers make for easy pouring of liquor bottles. A chrome finish adds that professional look. 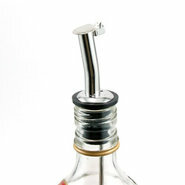 Generic - Measured Liquor Bottle Pourers ? 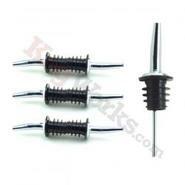 7/8 oz These measured pourers are a fast easy and inexpensive way to cut costs and control your liquor inventory. 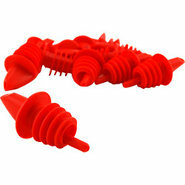 Generic - Measured Liquor Bottle Pourers - 1 oz Get an exact 1-ounce (1 shot) pour every time. Measured pourers are the fastest easiest way to pour an exact shot!